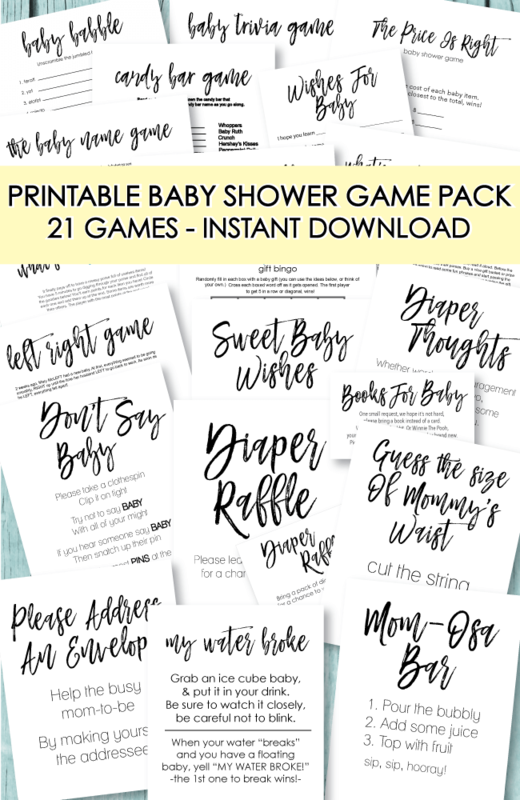 If you're looking for some cute and creative baby announcements, baby poems and wording for baby shower announcements, you have come to the right place! Having a baby is a huge event in your life. Be sure to announce the arrival of your new little one in style! 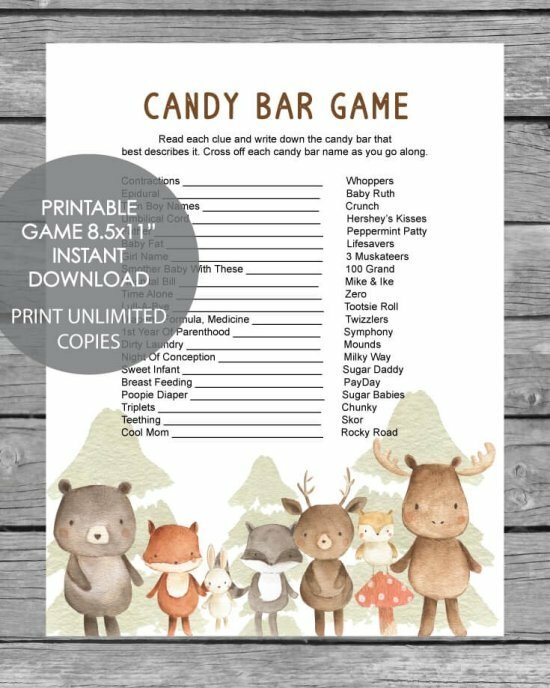 We have listed a few of our favorite baby shower poems and verses announcing a new bundle of joy! Oh Joy! It's A Boy! A Giggle, A Curl...A Sweet Little Girl! Giggles and Curls, We Have Two Little Girls! We think babies are so much fun, we decided to have another one! Ships Ahoy, It's A Boy! A New Baby Has Bloomed! Little Blessing, Little One, A New Baby Is So Much Fun! Baby Sienna is ready to meet you! When my friend at work was announcing her pregnancy, we made pink and blue cupcakes with a sign that said "Pink or Blue...Can You Guess Who??" It was so much fun watching coworkers guess who it was! Once there were two, soon it will be three please join us to shower with love ________ &_______ new baby. Cute As A Button, And Ever So Dear, Sweet Baby _________ is Finally Here. I'll play baby poker and the jackpot is you! Because I'm Mommy and Daddy's precious little treasure. Sending out baby announcements is the perfect way to show off your new little bundle of joy! Your baby has finally arrived - let all of your friends, family, neighbors and co-workers know the big news! Some cute picture ideas are to take a close-up of just your baby's face, take a picture of his/her feet, or dress them up in a new outfit and take a full picture. Nothing beats outside lighting if it is a sunny day! 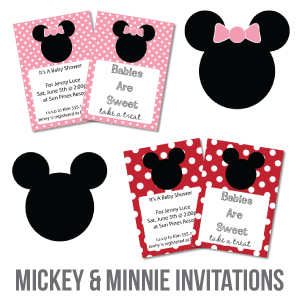 Looking for baby shower invitations? Click here. When filling out your birth announcements , in addition to incorporating baby poems, don't forget to include your baby's full name, gender, date and time born, and his/her weight and length. A cute baby saying is "Our Family Has Grown By Two Feet!" 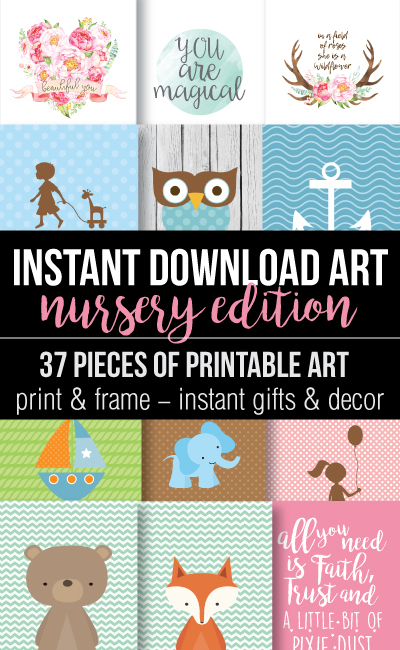 Print announcement information out on decorative paper, add some embellishments (craft stores have darling baby-themed decorations for card making), and you're done! Keep it simple, you've got a baby to take care of! 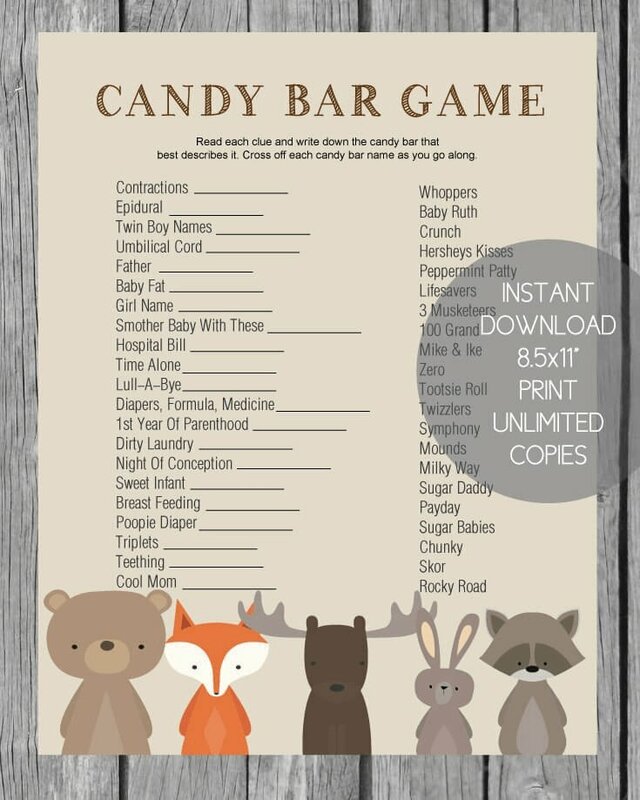 Another cute idea is to have custom candy bar wrappers made with all of your baby's birth information on it. I passed wrapped Hershey's candy bars out when my first daughter was born (in 1998) and everyone loved them! Only then they cost 3x times as much to have them custom made as they do today. 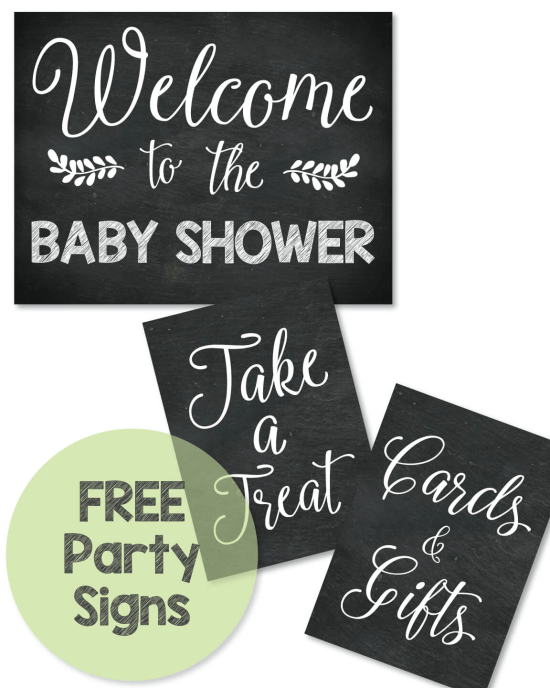 A huge new trend in the baby shower world is to wait to have your baby shower until after the baby has arrived. It is called a "Sip N' See" where guests come to visit the new baby and munch on appetizers and punch. If you choose to have a sip n' see, the invite can have a picture of the new baby in it and also double as a baby announcement! Friends and family can drop by throughout the day (or over a few hours) to visit the baby. 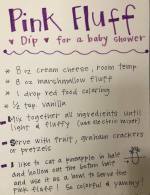 This is a little more low-key than a full fledged party and less hectic for the baby. We love this idea! 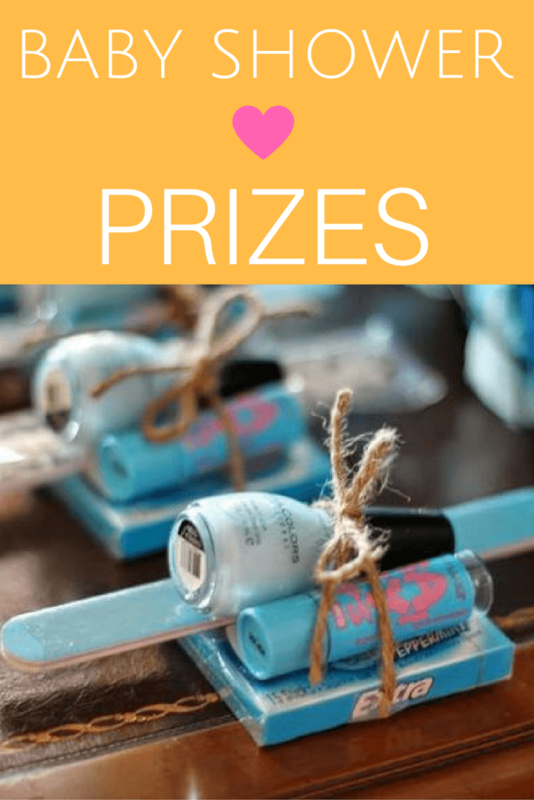 It is also a wonderful way to incorporate the new dad into the "baby shower" experience. 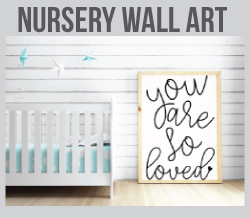 We designed a few cute signs that will fit perfectly in a new baby's nursery! All you have to do is print them out and place them in a cute picture frame. 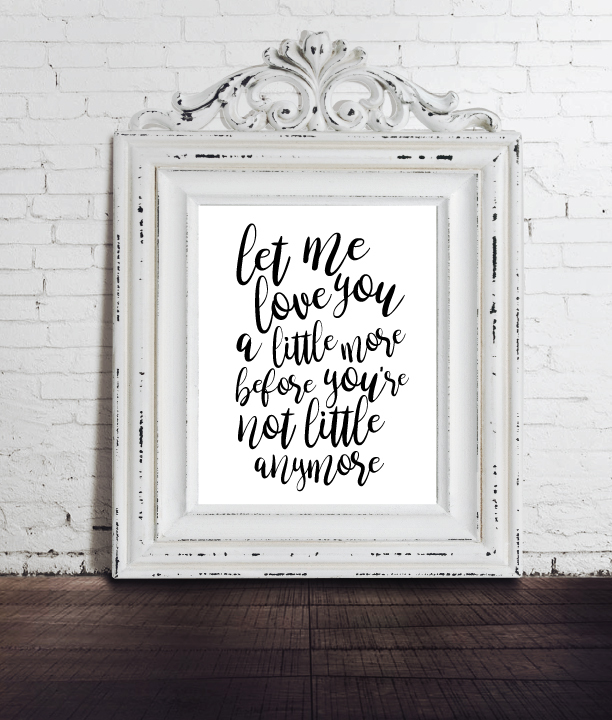 Hang on a wall in the nursery or place on the baby's dresser. 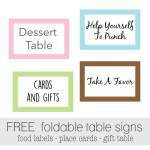 You can also use them to decorate the baby shower! 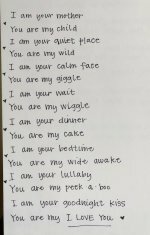 The best baby poems and wording ideas for invites, cakes, twins, book baby showers, diaper showers and more! 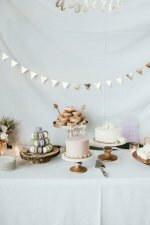 Need wording ideas for the baby shower cake? We've got you covered! See all of our cute cake sayings here. 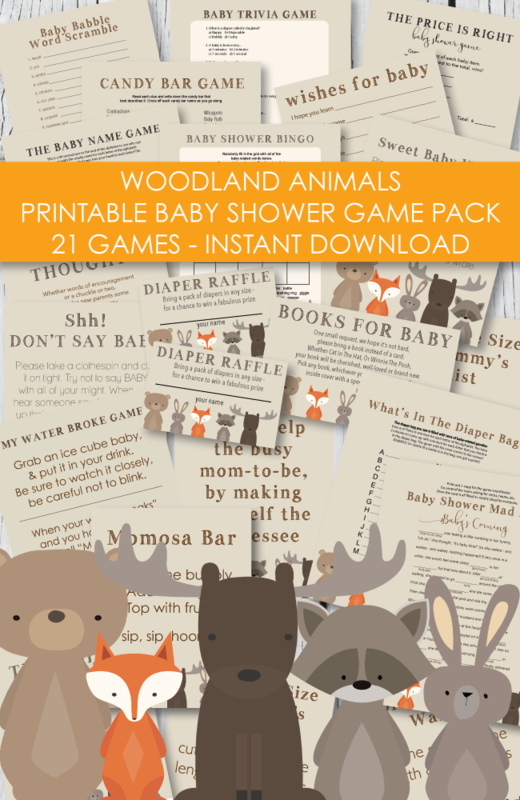 Don't forget the baby shower games - 100+ popular game ideas!